John Nicoletti, PhD, ABPP, received his doctorate in psychology from Colorado State University. 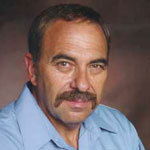 Dr. Nicoletti is a Board Certified Specialist in Police and Public Safety Psychology. Dr. Nicoletti specializes in detecting and disrupting proactive and reactive attack behaviors, trauma recovery, psychological incident command issues and high stress occupational interventions. Dr. Nicoletti authored three books on violence prevention and intervention including: Violence Goes to Work (1994); Violence Goes to College (2001) and Violence Goes to School (2002). Dr. Nicoletti was a professional responder for numerous school tragedies (i.e., Columbine, Platte Canyon, Arapahoe) as well as the Aurora Theater shootings. He has been a member of the Colorado Governor's Task Force on Expert Emergency Response and is past Chair of the Police Psychologist Section for the International Association of Chiefs of Police. His firm, Nicoletti-Flater & Associates, offers a range of evaluation and consultation services in addition to training and supervising the new clinicians in the Denver Metro Area. The vignettes will guide participants to evaluate dangerous and complex client presentations and assess those situations through legal, ethical and clinical lenses to action steps. Examples of vignette topics include: families dealing with armed mentally diagnosed clients, threats of violence against the clinician, boundary violating contacts from clients and unwelcome client contact post-termination. Randyl "Randi" Smith, MSW, Ph.D. 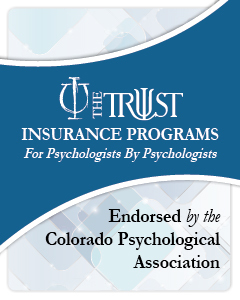 The Colorado Psychological Association is approved by the American Psychological Association to sponsor continuing education for psychologists. 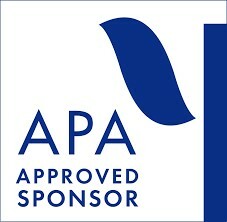 CPA maintains responsibility for this program and its contents.